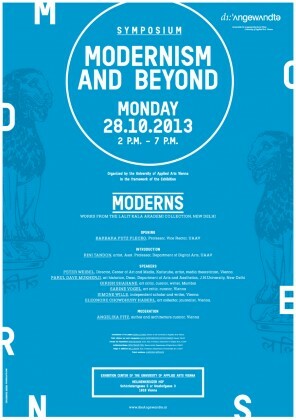 Lecture: The National Modern from the Lens of the Global? changed in the shift from the modern to the contemporary is a new agency in fashioning selfidentity with less reliance on the endorsement from the Western curators and critics. The currently emerging discourse on globalization has set up a new equation between art practice and art discourse. In the heyday of modern art in the West, art practice and art theory were almost coterminous to each other but when its impact travelled to its peripheries, largely under the aegis of colonization, art practice preceded theory. When modern art theory did emerge on the fringes of the western art world, it was couched in nationalist discourse and the search for native identity- Indian, African, Latin American and so on. The charge of derivativeness flung at artists in these parts of the world was defensively taken up by the ‘local’ art critics and cultural ideologues like Richard Bartholomew and Geeta Kapur who detected in their art practices traces of hidden national or civilizational identity through which modernism was claimed to have been mediated. This paper proposes to cast a retrospective glance at the modernist moment through a contemporary lens shaped by the concerns of the global contemporary. Radical Establishment: Indian Modernism and the Indian Nation-State Indian art in the twentieth century evolved to resemble European modernism, but also reflected ideological shifts particular to the subcontinent. It drew from indigenous traditions that provided it with a unique character and history, differentiating it from Western modernism. Whereas art and art theory in early twentieth century Europe had reacted against humanistic ideals, Indian modernism, as it developed from the 1930s, hewed closely to the Gandhian and Nehruvian ideals of syncreticism and inclusiveness. Gandhi and Nehru were anti-imperialists who became nationalist icons, and, as such, were simultaneously revolutionary outsiders and pillars of the establishment. Artists’ adherence to their vision complicated the categories of rebellion and conformism. In the 1970s, as the idealism of the early years of independence faded away, a new figuration emerged that was deeply critical of all that the Indian nation-state represented. Western modernism is a period of exclusion with rigid rules. Only a couple of Western European countries and the USA were included in developing a globally binding, artistic language based on denying academic traditions and forcing innovations. Although at that time, cities like Paris or Berlin had traditionally been melting pots with inhabitants – and artists – from all over the world, the exclusion regarding artistic styles stayed strong. Only limited influences were accepted both aesthetically and culturally. Early modern painting in India can be traced back to the first decade of the twentieth century, with the first Indian art movement beginning in Calcutta. In response to British colonialism and Western modernity, the Bengal School emerged as a cultural syncretism of different Asian cultures. The idea fostered in Bengal was that of an indigenous (Swadeshi) ideology of art, with Buddhist and Hindu aesthetics at the core of artistic practice. While the style and conventions of Mughal miniatures were practiced and explored by artists such as Abanindranath Tagore (1871-1951), in combination with the lines and wash techniques of Japanese art, “the overall thrust of Swadeshi visual aesthetics possessed a sectarian character” , as Iftikhar Dadi elucidates. divide. It was either used to glorify a magnificent past prior to British colonisation or to establish a Muslim cultural position that stood apart from a nascent Hindu nationalist construction. In this climate, Abdur Rahman Chughtai (1894-1975), who can be considered the first prominent modern Indian Muslim artist, pursued his goal of building up a counterpart in Lahore against the Bengal School. In our dialogue we will therefore be focusing on a multifaceted, heterogeneous modernism that emerged out of individual creative projects, each developing a relationship with a distinct Indo-Islamic cultural tradition. The lecture focuses on encounters with the MODERNS in their beginnings and on their formative years when they studied at the J.J. School of Art in Mumbai – an art school that opened in l874 under British rule. It also recollects the important role played by Austrian and German war émigrés in the early development of Indian modernist painting and their influence on the young Mumbai artists during the war years and in the immediate postcolonial years. with some of the MODERNS. She will also describe the slow growth of the Chowdhury art collection from the late fifties onwards until the mid- seventies, when her home was a hub for artists and art lovers. The speaker describes the Mumbai art scene in the 1960s, the social conditions at the time and the prevailing art consciousness. She also addresses the struggle of the MODERNS until they finally became recognized by the international art scene today.